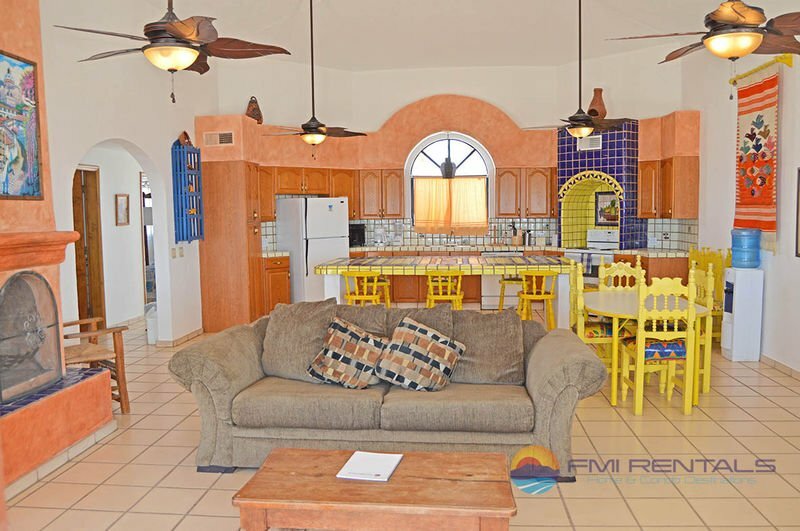 Casa Vazquez is an example of how Rocky Point vacation rentals are getting better and better. 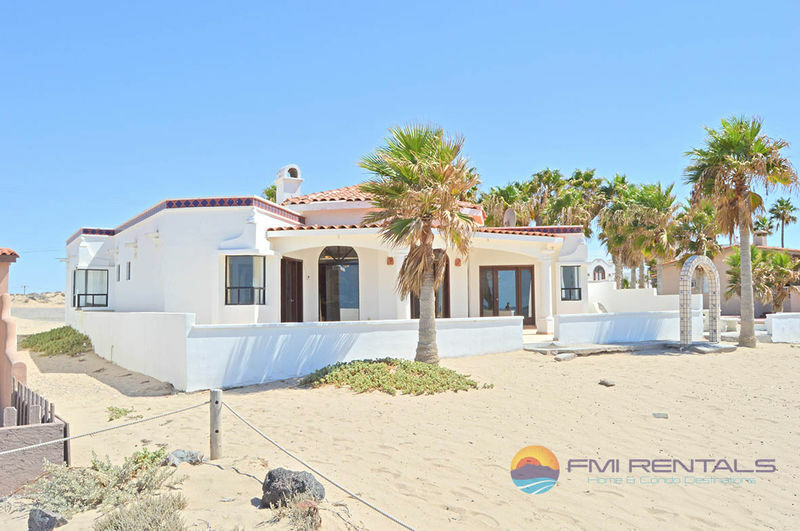 This is beautiful oceanfront house, in the neighborhood of Las Conchas - prime real estate for anyone who enjoys being a stone’s throw from the Sea of Cortez. 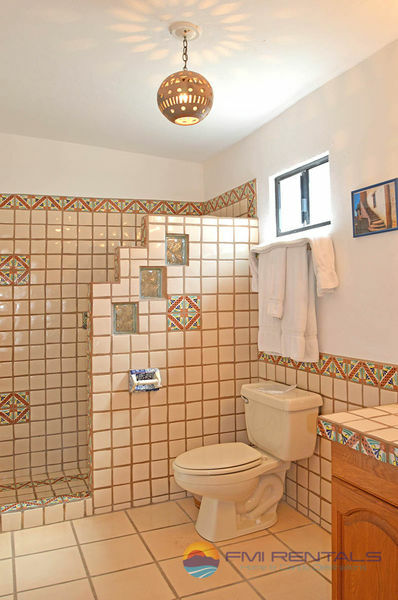 This is a single story home with three bedrooms and three baths. 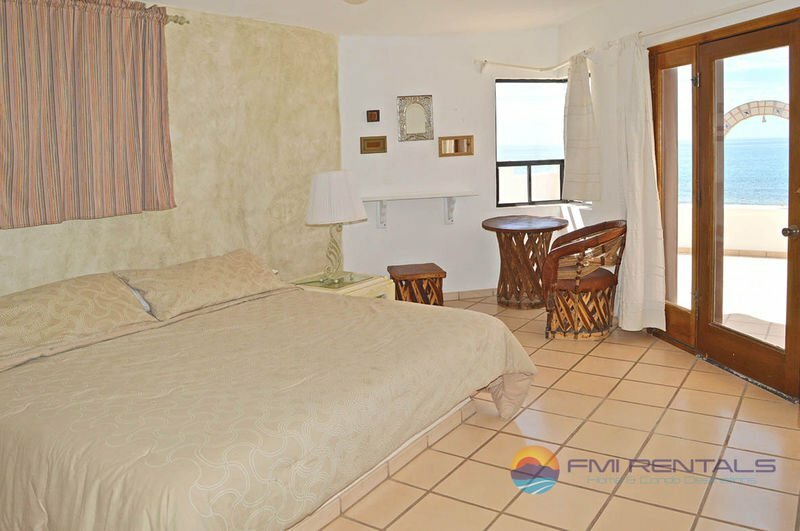 The master bedroom has a king bed, TV, and full bathroom, and opens out to the patio with an ocean view. The next bedroom has a full bed, and the final bedroom has two twin bunk beds. How you fill these rooms is up to you, but the last room is great for a collection of single people or to fill with children. 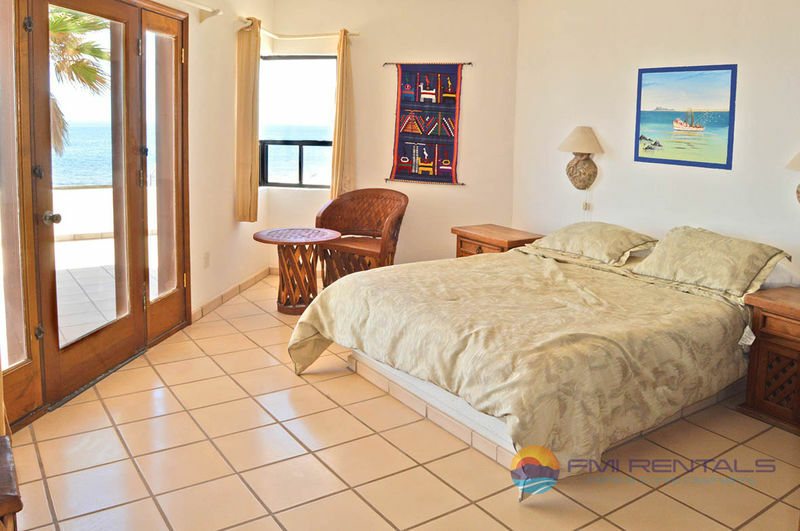 Each bedroom has a contemporary design, so don’t let the twin beds fool you; it’s still a nice room. 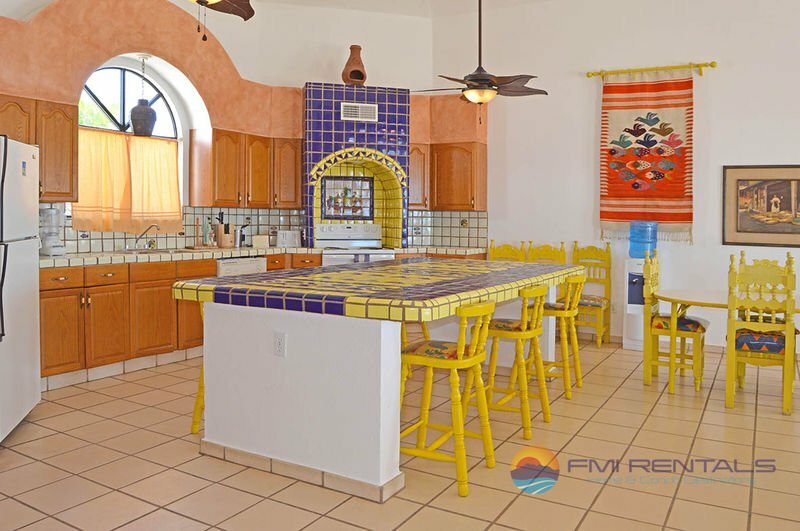 The good thing about Rocky Point vacation homes is their unique décor, and this house is especially fun with its bright Spanish colors which bring the rooms to life. The living room features oranges and blue to accent the tans the fill the majority of the room. 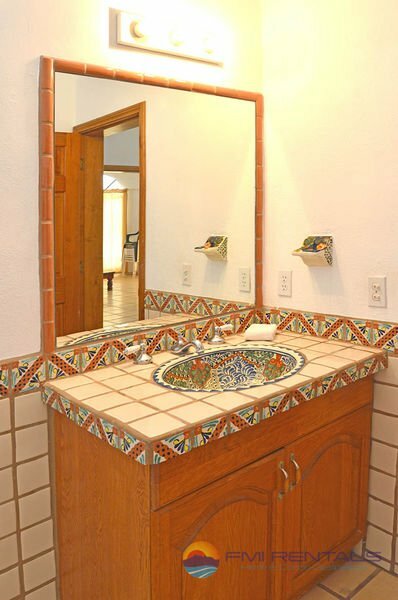 This is a refreshing home in comparison to the many carbon copy locations you would see in a resort of hotel. 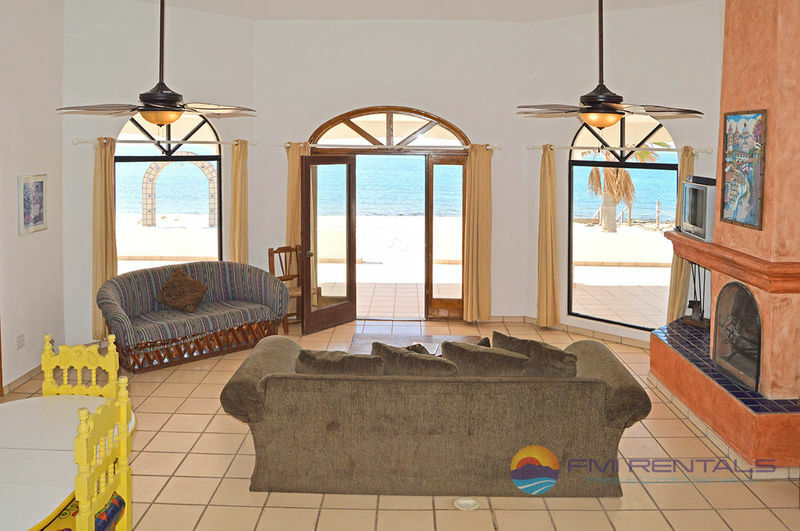 A large couch sits in the living room towards the doors to the ocean, with a fireplace beside. 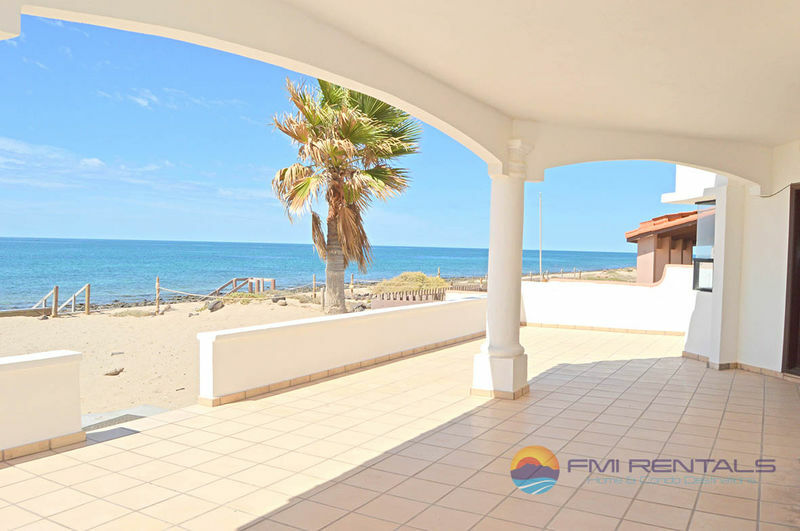 It’s a peaceful setting, where once can imagine reading a book or taking a nap with the sun shining inside through the large windows - windows which ensure you a view to the beach, even from the distance of the kitchen. 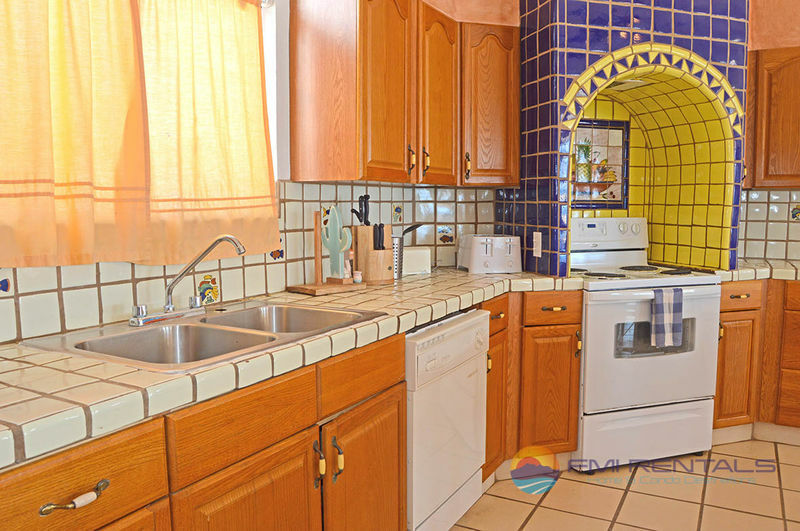 The kitchen is spacious enough to cook for a large gathering, with both a kitchen table and countertop to serve. 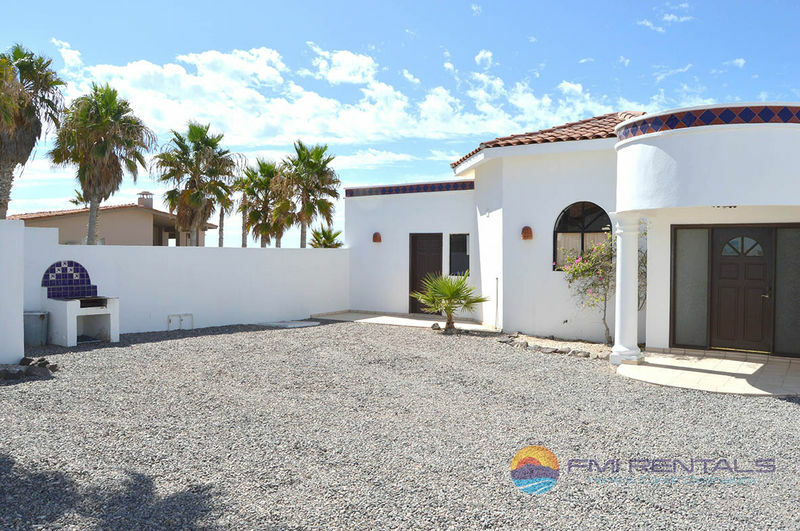 An oven, microwave, and fridge are at your disposable as you make the tastiest of treats to further help you relax in this delightful home. 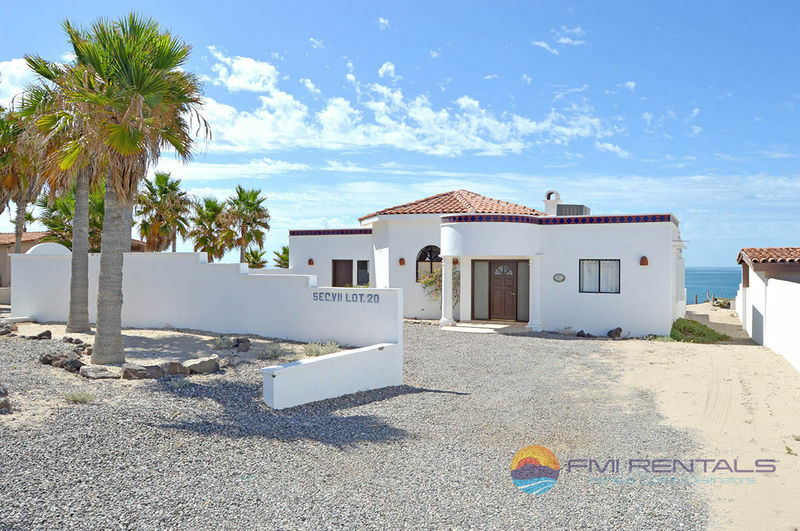 The front yard of this house is gravel covered, and large enough to park several vehicles. 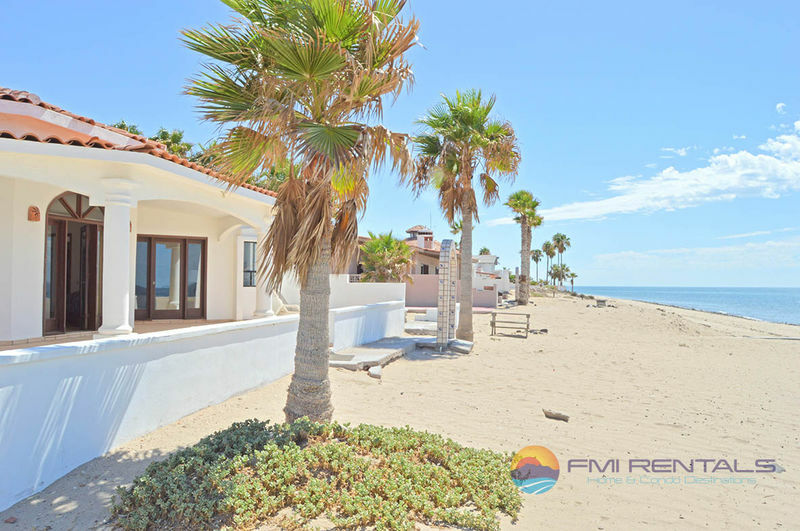 Moving to the back of the house, the patio overlooks the sandy beach front property, with its palm tree and ocean mist. Anything you can dream of doing on a public beach can be done here, with the benefit of not having to pack for a beach trip. 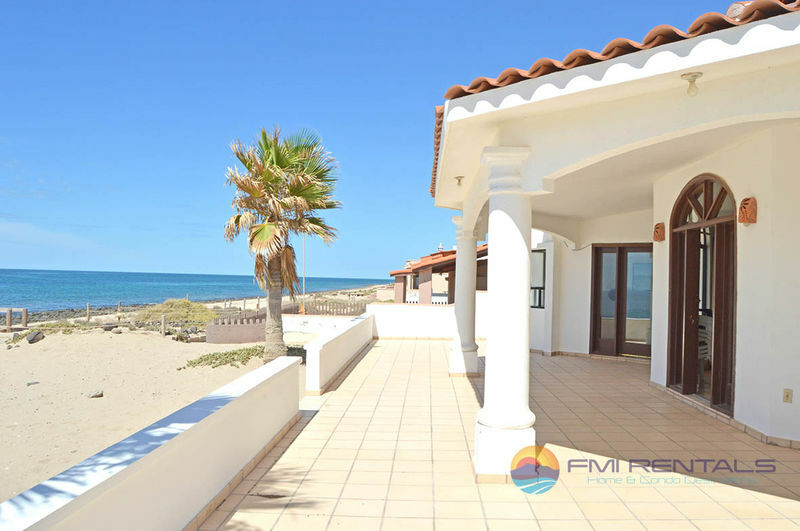 Vacation rentals in Rocky Point are something that are hard to pass up. 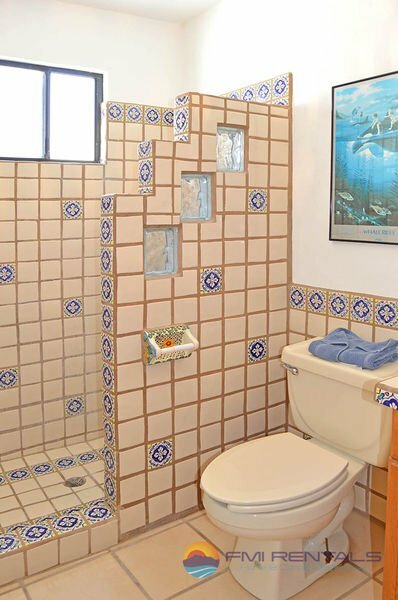 After reading about this house, you’ll be hard pressed to agree it sounds like a great spot.